Generic Risperdal is an oral drug which is used in treatment of psychotic conditions. It is used in treatment of schizophrenia, schizoaffective disorder, manic and mixed stats associated with bipolar disorder as well as irritability in patients suffering from autism. Its generic name is risperidone and it is marketed under the names Benzix, Genrest, Nudon and Respid, among others. 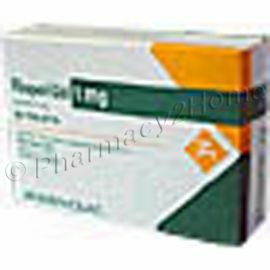 Generic Risperdal is an atypical antipsychotic drug and it holds a number of properties. It possesses antiserotonergic, antihistaminergic and antiadrenergic properties which leads to a number of beneficial effects in patients suffering from psychotic conditions such as schizophrenia, for instance. Keep Generic Risperdal in a cold, dark and dry place away from children. Do not share your medication with anyone and if it has expired, you should throw it away and order new Generic Risperdal online. Take Generic Risperdal exactly as prescribed. Do not take doses that are larger or smaller than the prescribed ones. You can take Generic Risperdal with or without food. It is important to use this drug regularly to achieve the best results. If you see that you will run out of the medication, refill your prescription in order to avoid skipping doses. You may require some time before you can see benefits. Do not discontinue the drug before talking to your doctor. Usual initial dose is 2 mg per day. This can be increased to the usual recommended dose of between 4 and 8 mg daily. Seek emergency medical assistance if you believe an overdose has occurred. Symptoms may include lightheadedness, fast heart rate, drowsiness, fainting, restless muscle movements. Generic Risperdal may cause impairment of thinking and reactions. If you are affected in such a way, avoid doing anything potentially dangerous for the duration of adverse effects. Avoid drinking alcohol as it can enhance side effects. You may be more sensitive to extreme temperatures when using this drug. It is easier to become dehydrated or overheated when using generic risperidone. The drug may affect your blood sugar levels. If you become pregnant during your treatment, inform your doctor at once. Mild Generic Risperdal side effects may include: mild skin rash, sore throat, runny nose, cough, GI tract side effects, insomnia, restlessness, anxiety, increased appetite, dry mouth, dizziness, drowsiness, tiredness, headaches, weight gain, feeling cold or hot. Serious side effects may include: priapism, fainting, troubles swallowing, white sores or patches in mouth, nosebleeds, flu symptoms, chills, fever, convulsions, tremor, drooling, restless muscle movements, stiff muscles, confusion, sweating, uneven or fast heartbeats. This is an incomplete list. Generic Risperdal is still one of the most popular antipsychotic medications in the world and if you are prescribed with this drug, you can now buy Generic Risperdal online and save a lot of money that way. Generic Risperdal should not be used if you are allergic to risperidone or if you have dementia. Generic Risperdal should be taken for the full duration of the regimen.